A woman should be two things – who and what she wants. Period. A lot has been glorified about women, and still, there is more to go, because hey, who created this world we are proudly exploiting? Post watching movies like Manikarnika, Padmavati, Mary Kom (and many others) there has been a strong desire to explore about women who did not receive as much limelight for their unique and intrepid nerve. Here goes a small list of these women who with their undeterred determination served India and made it a proud country without getting mainstream limelight. 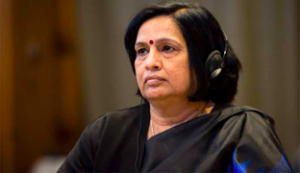 Dr Neeru Chadha, has been elected as the Judge of the International Tribunal for the Law of the Sea (ITLOS), becoming the first Indian woman to be elected to ITLOS. Dr Chadha got elected in the first round of voting, with 120 votes, the highest in the Asia Pacific group. She has represented the Indian government in various other multilateral meetings and conferences before the United Nations, AALCO (Asian African Legal Consultative Organisation), UNIDROIT (International Institute for the Unification of Private Law), UNCITRAL (UN Commission on International Trade Law). Padma Lakshmi is an author, executive producer, model and host of the popular reality program Top Chef for which she has acquired nomination for Primetime Emmy Award. She was just 18 when she started her career as a model in Spain. Moreover, after this, she became the first Indian to own career in Milan, Paris and New York. She also worked with the top international designers which include, Gianni Versace, Ralph Lauren, Giorgio Armani and much more. Padma has even got featured on the covers of Vogue India, Cosmopolitan, Redbook and many others. After getting immense success in modelling, she also got a chance to act in many Hollywood movies. She is also a social contributor and owns a foundation named as The Endometriosis Foundation of America which aims at increasing awareness, education, and research against the disease. 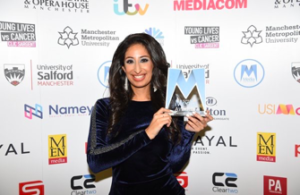 An Indian-British actress, anchor and radio presenter – she has many accolades under her belt from acting in Bollywood for films like FAN and AE DIL HAI MUSHKIL, to winning The Asian Media Award for Best Radio Presenter 2018 and now the most heard show in the United Kingdom. She is so much in love with Indian music and art which got her an opportunity to host and be an integral part of international tours with veteran Indian artists to contemporary ones. Born and brought up in England but belongs to India – she has done and achieved magnificent things to make her nation proud with her skills and extraordinary work, globally. She was awarded the Pride of India Award for being an NRI Most Prestigious Journalist from the NRI Institute at the House of Lords, London paving her ever glorious work in the field of electronic and new media. She is a very well-known Indian-American filmmaker who has showcased cultural, social, economic spheres of Indian society with her work to international audiences. Initially, she started as an actor during her college days at Harvard University. 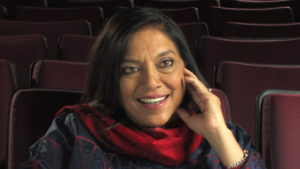 Mira made her mark in filmmaking with her best-crafted documentary ‘So Far From India’ which was the story based on the life of an Indian newspaper dealer in the subways of New York and his pregnant wife. This amazing masterpiece made Nair earn the awards for Best Documentary at the New York’s Global Film Festival and American Film Festival. She has produced many thought-provoking movies which include, Monsoon Wedding and Mississippi Masala. She also directed the Golden Globe-winning movie Hysterical Blindness, and she was even offered to direct Harry Potter and the Order of Phoenix. Also, she is also the recipient of Padma Bhushan. Miss Universe of India in 1965. Very few people knew that until she was offered a role for Star Trek in the Year 1979. She indeed portrayed the role of Lieutenant Ilia. She was an iconic actress who was bold enough to shave off her head to portray this role for five years. Hats off to this lady, for her confidence and her courage. Very few actresses can come up with such bold stature, albeit, she looks even more beautiful with the shaved head. She was also nominated a Saturn Award for her best work in Star Trek, the major motion movie aired in 1979, which again led to the work in NightHawks in the year 1981. The actress, however, met her demise in the year 1998, due to the massive heart attack shocking entire India. Womanhood is all fire, strength and sparkle – shine on!